My Passion is Fueled by My Personal Story. My Nona (grandmother) and I were always extremely close and there wasn't anything that I would not do for her. After a fire left her in a long-term care facility unable to care for herself, we began a four year journey together: her transition from ICU hospitalization to permanent placement in a long-term care facility. 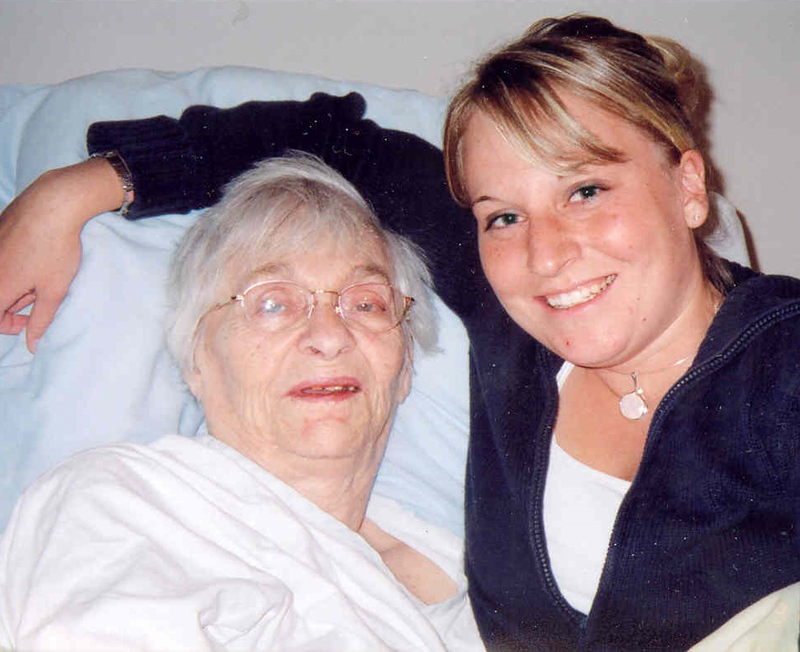 As a university student completing a degree in Gerontology (the study of aging) I understood the complexity of care required as a result of the onset of dementia. I escorted her to all of her appointments, acted as her liaison with medical staff and played an active role in annual care conferences. I also provided ongoing reports to family about her condition/issues. While on this personal and academic journey I became very familiar with the community resources available (social workers, administrators, therapists, mental health practitioners and others). I visited my Nona almost every day, kept her up to date on what was going on in the world, family news, and made sure I was there when she needed something or just someone to talk to. It was very difficult and heart wrenching at times. However, I cherished her good days - when she knew who I was. On her bad days, I was just happy that I could be there for her to do whatever I could. 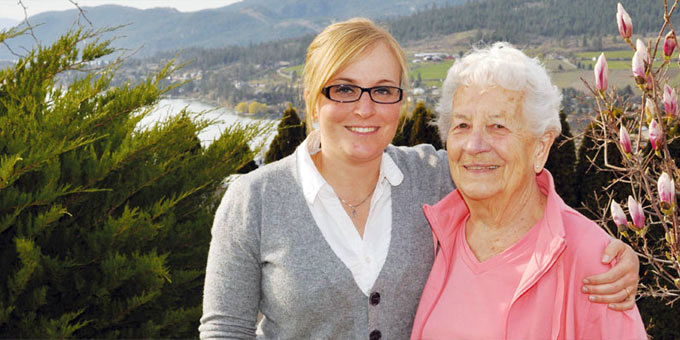 My Nona was my inspiration and I am proud to have been a resource and comfort to my family. It is my hope that I can help my clients and their families in the same way. My extensive background caring about seniors and other individuals with dementia began as a teenager, serving meals to residents at a retirement home and has evolved from that role to, Recreation Coordinator, a fast paced position working with seniors one-on-one and in groups. The delivery of cognitive exercises to clients of a private company spurred me on to create my own company, Cognitive Care Services Inc. Today, in my role as founder of Cognitive Care Services my goal is to exceed the expectations of every client by providing peace of mind for them, their families and loved ones. Jaime offers a personalized connection with each of her clients, and as a result is able to bring out the best in each one. She is an empathetic listener whose goal is to ensure that her clients are comfortable with her, able to express their own opinions without fear of being judged, and that their uniqueness as an individual is allowed. 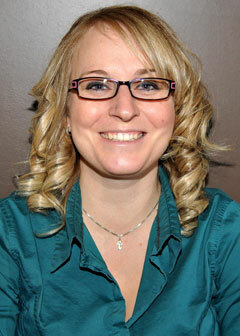 Jaime is an unbiased professional, who has the best interest of her clients in mind at all times. I was a shoulder to cry on and my client's very own cheering squad. I was there when my client felt she couldn't talk to anyone else about what she was feeling and going through. I've met so many families who are balancing their own young families, careers and having to worry about their aging parents/grandparents on top of everything else in their life. There are so many ways CCS can assist you and your loved ones. I invite you to take advantage of the many services that we offer! 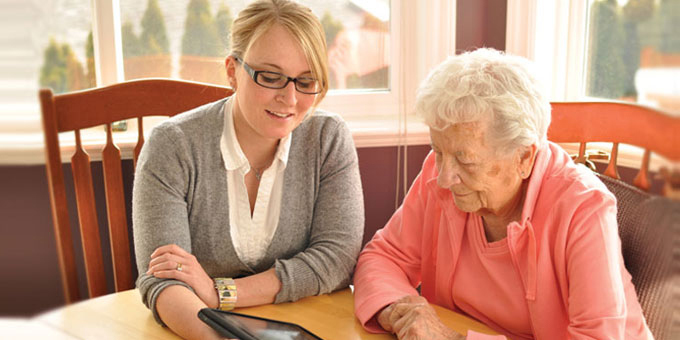 Cognitive Care Services Inc. is a Calgary owned and operated company. At CCS, we support families and individuals with dementia and provide them with the one on one attention that they need during this tough, confusing and emotional time. Let us sit down with you and your loved one to create an individualized plan based on your specific needs and desires. We understand that there is not a lot of support available, but we are here for you! Our goal is to keep your loved one engaged and their lives enriched. We are here to help! CCS is a very personalized service offering a second set of eyes on your family member or friend. We keep the family informed and up to date with current concerns, helpful suggestions, and happy stories. Thrive rather than just survive! We work with families, knowing that together we can really have a positive impact on their loved ones and can make a difference in their lives. 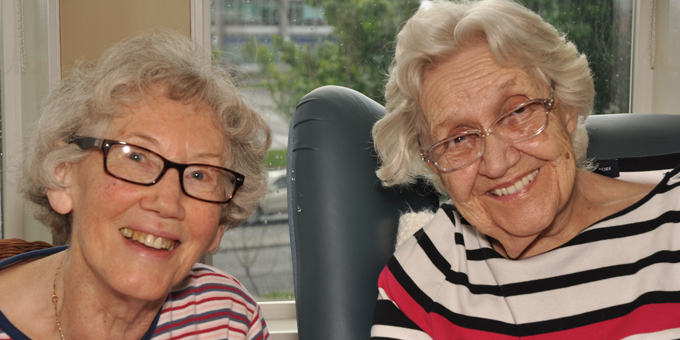 We believe that each individual should age in a loving and supportive environment where dignity and quality of life are protected and strengthened for their remaining journey of life. 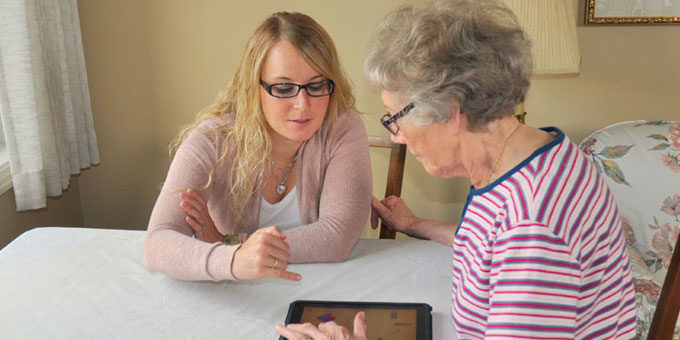 Cognitive Care Services is for any individual already experiencing memory loss who wants to take control and fight the decline associated with Alzheimer's (or other forms of dementia) to enhance their quality of life as much as possible, wherever possible. CCS recommends that people diagnosed with dementia and their families should contact Cognitive Care Services as early as possible after initial diagnosis. Collaboratively, we can work together to create an impact on your loved one by focusing on them, and offering new found hope by emphasizing their value and restoring their sense of dignity. It is our belief that the longer your loved one remains in their home or assisted living facility and not in a long term care facility the better the quality of life they will experience. 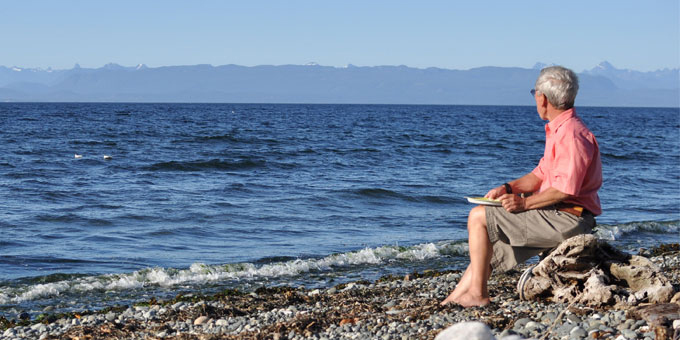 Feelings of isolation often impede a senior's ability to maintain a balanced and healthy lifestyle. which includes respect, compassion and dignity. Cognitive Care Services Inc. believes in the principles of person-centred care for the individual diagnosed with Alzheimer's Disease or another form of dementia. We always want to look at our client first and make sure their needs are being met. We see the individual like this: "A PERSON with dementia" and not like this: "a person WITH DEMENTIA"
In this piece of the circle we focus on how dementia is affecting our client as well as understanding their past medical history. 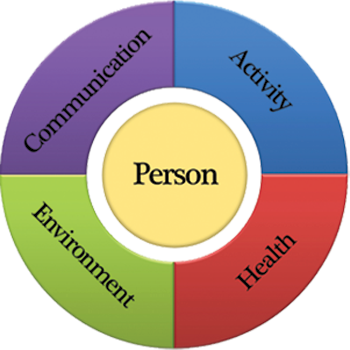 This part of the circle focuses on involving the senior or individual with dementia in meaningful activities which are important to keep the mind and body active. During the early stages of Alzheimer's, slowing the progression of the disease can involve maintaining a variety of activities involving cognitive and physical exercise, diet and social life. 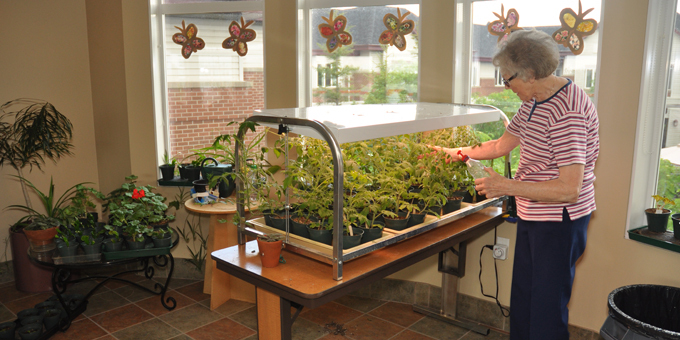 Making the senior's environment safe and functional is important. Keep the environment familiar by putting things in expected places. Novelty and surprises are not helpful to most individuals with dementia. 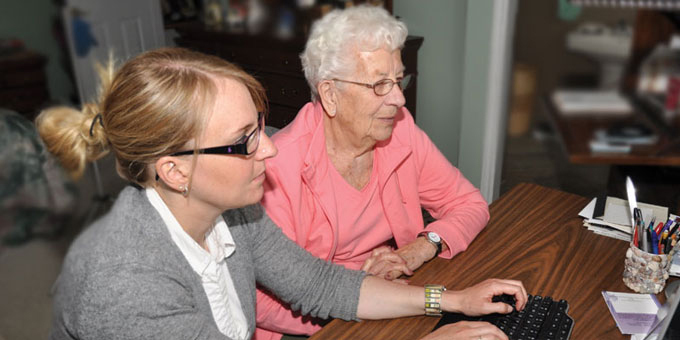 The person-centred approach depicts the importance and uniqueness of communication in each senior's life. 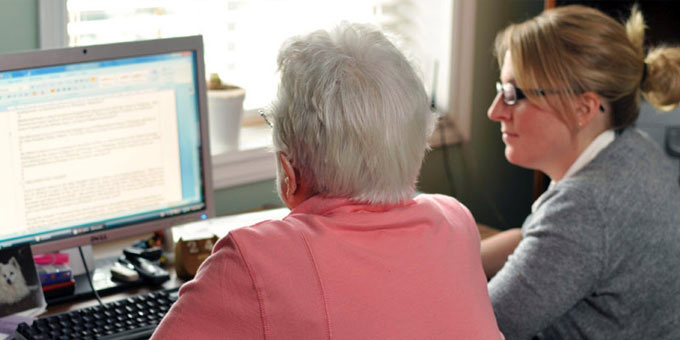 Improving techniques and strategies in your communication with a senior can make all the difference in their life and yours.